4 Bed(s) / 2 Bath(s) / [SqFt] Sq. Ft.
3 Bed(s) / 2 Bath(s) / [SqFt] Sq. Ft.
3 Bed(s) / 2.5 Bath(s) / [SqFt] Sq. Ft.
Phoenix, Arizona is one of the most favorable places to live in the Southwest. The climate in Phoenix is perfect for enjoying the outdoors and desert setting for the majority of the year. Many homes in Phoenix come equipped with a pool in the backyard or in the community to counter the heat in the summer months. Regardless of whether you choose an energy efficient home that is small and quaint or a large mansion with plenty of space, you are sure to find the home that fits your style and personality in Phoenix, Arizona. Real estate investment opportunities in Phoenix are very attractive as the market offers many bargains. Additionally, the location sets you right in the middle of the action in the exciting city of Phoenix. The attractions here are one of a kind and bountiful, so choose from an array of quality homes in Phoenix, and reap the benefits of the environment surrounding you. Phoenix is renowned for its sports and cultural attractions. Among the multitude of attractions sits Chase Field, the home of the Major League Baseball team, Arizona Diamondbacks. This field is unique in that fans can watch the excitement of the game while wading and cooling off in a pool right in the stadium. Also, the stadium has a retractable dome, allowing the home team to keep cool during the hot months but enjoy the beautiful weather the rest of the season. Additionally, if you are a history or art buff, visit the Heard Museum in the heart of Phoenix. This museum is unique in that it showcases some of the best art from Native Americans throughout history. The style was one of a kind and the museum holds many sessions with contemporary artists of these designs to teach you the techniques used to create this wonderful form of artistry. Phoenix MLS properties range from low maintenance condo real estate and downtown high rises to equine estates for the outdoor minded. Phoenix MLS choices are wide ranging and Northeast Phoenix is an area that is highly desirable. If you enjoy getting out and sightseeing, sign up for one of the Open Road Tours that provide you with a historical glimpse of the surrounding areas of the city that you will be living in. These tours cover every important area of Phoenix and explain key areas and their significance, including Sedona and Grand Canyon, vital points of Arizona culture. Finally, there are many hiking and outdoor activities to enjoy in and near Phoenix. For example, you can spend the day at Squaw Park, which has a great trail to climb with family and friends with picnic spots to enjoy a picnic in the beautiful desert. 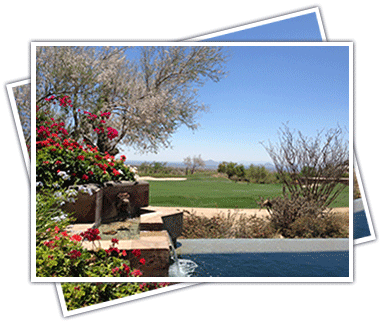 Taking advantage of all the attractions that Phoenix has to offer home owners is an adventure. Phoenix MLS listings offer a choice for every homebuyer. View our exquite choices on the MLS. Search Phoenix homes easily by property type and feature.